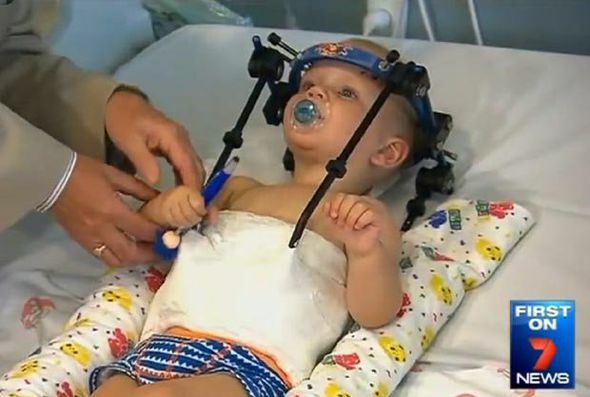 THIS toddler has made a miracle recovery after his head was DECAPITATED in a near-death car crash. 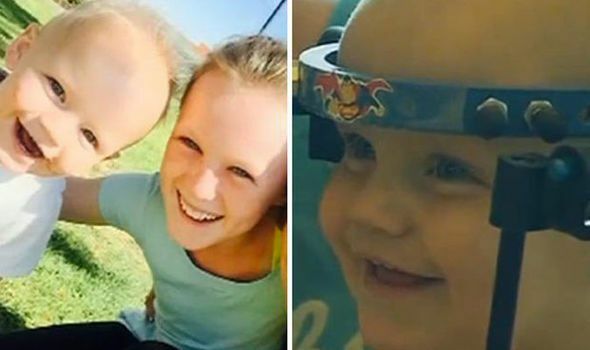 Little Jackson Taylor is now on the mend after surgeons miraculously reattached his head to his neck. 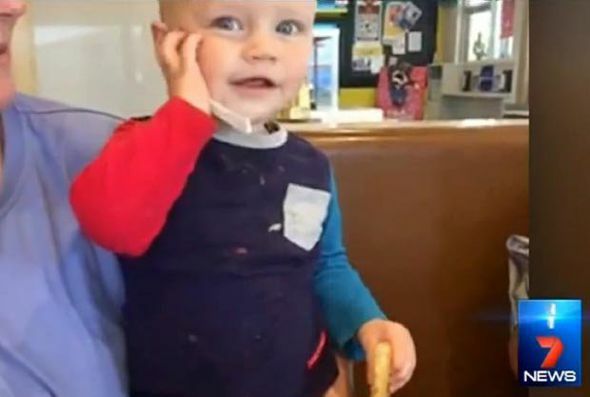 The 16-month-old toddler suffered the horrific injuries after the car he was travelling in with his mother and sister crashed head on with another vehicle at 70mph. The force from the collision was so intense that Jackson's head pulled apart from his neck in an internal decapitation. But top medics were aable to reattach the boy's vertebrae using wire and a piece of his rib during a gruelling six-hour operation. Spinal surgeon, Dr Geoff Askin, said: "A lot of children wouldn't survive that injury in the first place, and if they did and they were resuscitated then they may never move or breathe again." He is now wearing apparatus - or what his family call a "halo" to keep his body stable, which will be removed in eight weeks. After that, little Jackson, who is from Australia, will be able to live a normal and healthy life again. His relieved mother Rylea Taylor aded: "It's a miracle. 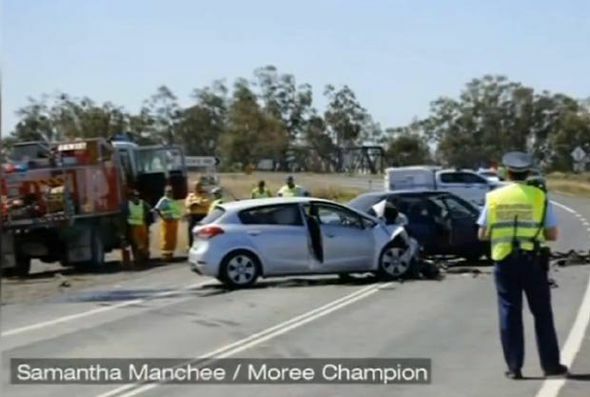 The second I pulled him out I knew that his neck was broken." How lucky to not have damaged the spinal cord. Every other injury I've seen resulting in internal decapitation renders the poor victim paralysed and unable to function except blink the eyes. I read about this a couple days ago. I was just in awe at the fantastic surgeons we have nowadays. Happy story! I hope he won't suffer from pain later in life after an accident like that. 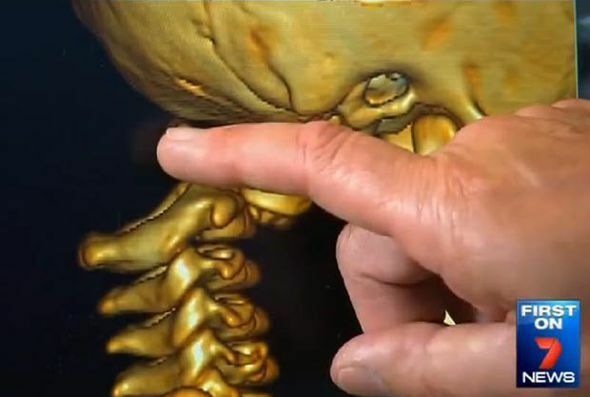 Having a fusion in the neck, the vertebrae adjacent to the fusion are subjected to more stress and strain and that makes them more prone to injury. bloodgasm, darkredspyder, gatagato, Meraxes, Pink. That is crazy, so glad he'll live a normal healthy life.